The Disciplinary Committee of the FA has fined Ghana’s premier club, Accra Hearts of Oak a total of GH¢12,000 and also asked the team to play their next three (3) home matches behind closed doors. 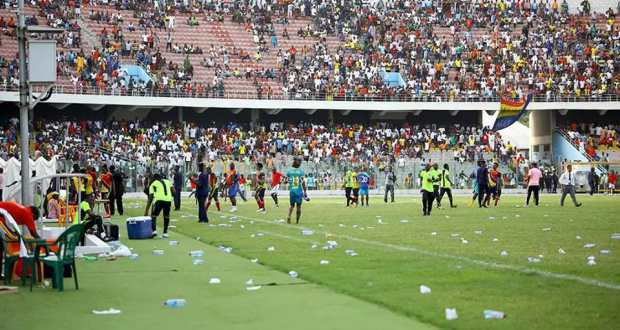 This follows the action of the club’s supporters during their 6th week encounter of the GPL with Wa All Stars at the Accra Sports Stadium where they went irate and threw bottles and sachets of water at match officials. The supporters after the game, held the match officials hostage for over 35 minutes until the police took them away under heavy escorts. Hearts lost the game 3-1 to Wa All Stars.